A big thank you to all that helped with our recent community project. A big thank you to all that helped with our recent community project. 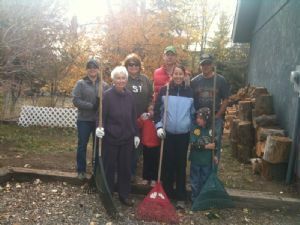 Fun was had was by all as we lent a helping hand to Hailey resident Jane Dulac clean up the fallen leaves in her beautiful yard.